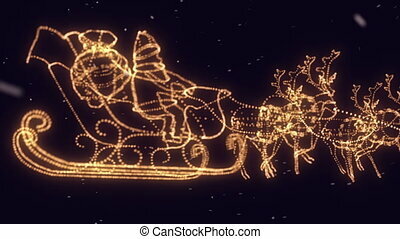 Silhouette santa with a harness flying with fireworks happy new year animation. 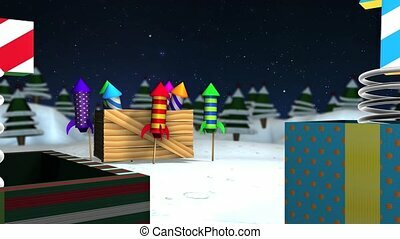 Silhouette santa with a harness flying with fireworks in green snowflakes background happy new year animation. A vibrant celebration of the Christmas spirit as the festive season draws nearer. It is an animated greetings card sparkling to life with magical particles sprinkled against a starry night sky. 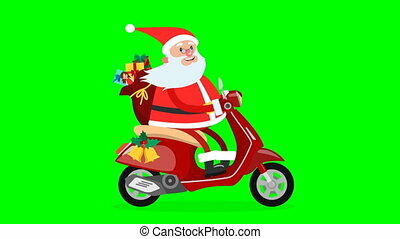 Happy Santa Claus riding on a moped in front of the green screen with bag full of gifts. New Year and Christmas greeting. Cute christmas loop gif animation 4K. 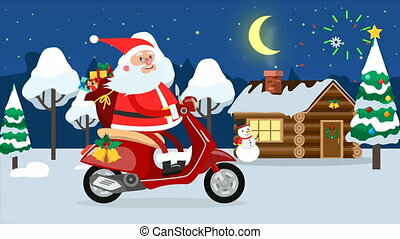 Happy Santa Claus riding on a moped across winter forest with bag full of gifts. New Year and Christmas greeting. Cute christmas loop animation 4K. 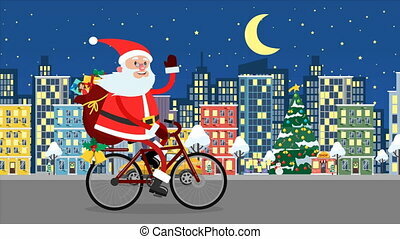 Happy Santa Claus riding on a bicycle over the night city with bag full of gifts. New Year and Christmas greeting. 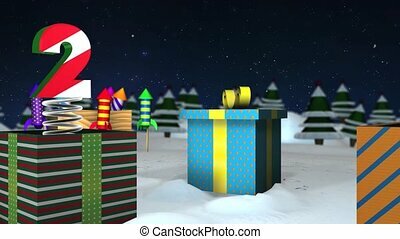 Cute christmas gif animation 4K. 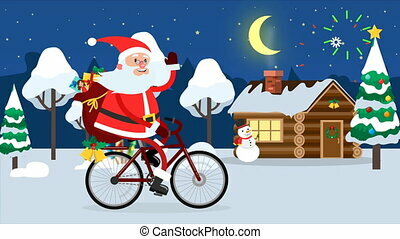 Happy Santa Claus riding on a bicycle across winter forest with bag full of gifts and waving hand. Wooden house on the background. 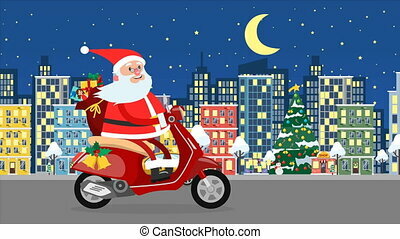 New Year and Christmas. Cute christmas loop gif animation 4K. 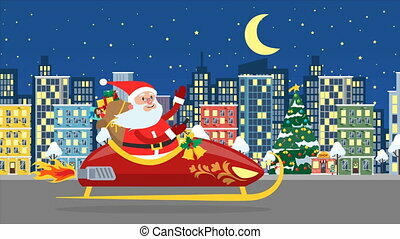 Happy Santa Claus in sledge flying over the night city with gifts. New Year and Christmas greeting. Cute christmas loop animation 4K.